Hi my friend. 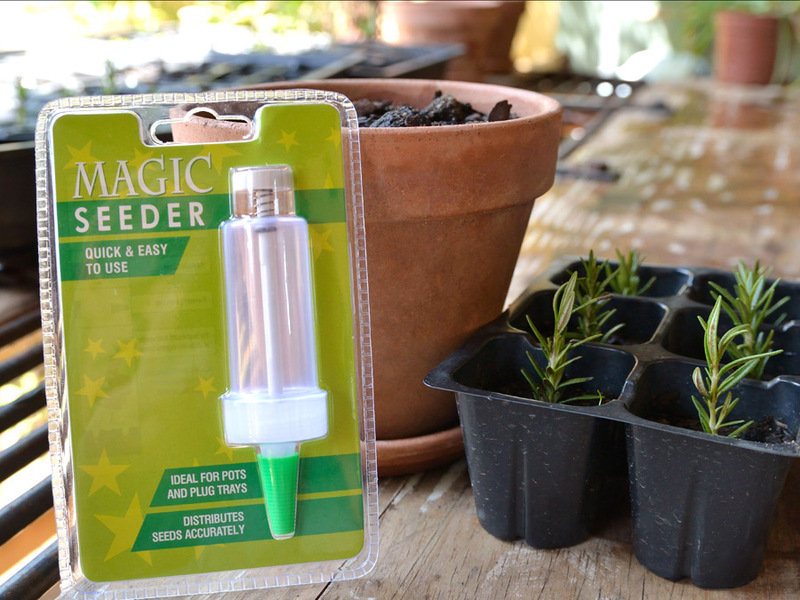 I had the chance to test the Magic Seeder you bought for me – and what a GREAT product! You know how I find the whole process of sowing the seeds and then having to separate the seedlings quite difficult ….. when they are so delicate. I also tend to put too many seeds down and when they grow, the mass of seedlings are too compact, reason for the need to separate them. I end up leaving them as is and find it stunts the growth of all the new seedlings. Not a good way to start new life!! So this little gem of a product is just the best!! AND I don’t get my hands full of dirt! I was able to plant my seeds in the seedling trays in a jiffy! No mess no fuss! 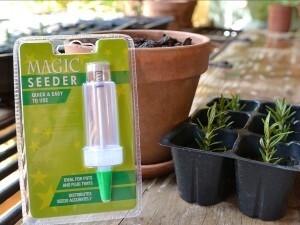 It’s called the Magic Seeder and is new in South Africa. It is a simple to use and extremely efficiet hand-held seeder. It can cope with seeds up to 2mm in size.It is ideal for accurately sowing seeds in plug trays, pots or seed trays. It is also used by the Royal Horticultural Society. To order one at R79.95 contact Dani at dani@ecofootprint.co.za or visit the website at http://www.ecofootprint.co.za/. You can also see exactly how to use it! I see that the Gardening Magazine had an article on it! It should be for sale in EVERY Nursery and in every gardeners toolbox! I highly recommend it! What a nifty gadget! Hi my friend – I’m so glad this is useful to you! It looks very useful. I got an extra one for Linda so she can use it to sow her seeds once we have her Veggie patch going because she wants to grow carrots!